Does functionalism entail extended mind? In discussing the famous case of Otto, a patient with Alzheimer’s disease who carries around a notebook to keep important information, Clark and Chalmers argue that some of Otto’s beliefs are physically realized in the notebook. In other words, some of Otto’s beliefs are extended into the environment. Their main argument is a functionalist one. Some of Otto’s beliefs are physically realized in the notebook because, first, some of the beliefs of Inga, a healthy person who remembers important information in her head, are physically realized in her internal memory storage, and, second, there is no relevant functional difference between the role of the notebook for Otto and the role of the internal memory storage for Inga. The paper presents a new objection to this argument. I call it “the systems reply” to the functionalist argument since it is structurally analogous to the “the systems reply” to Searle’s Chinese room argument. According to the systems reply to the functionalist argument, what actually follows from their argument is not that beliefs of Otto are physically realized in the notebook but rather that the beliefs of the hybrid system consisting of Otto and his notebook are physically realized in the notebook. 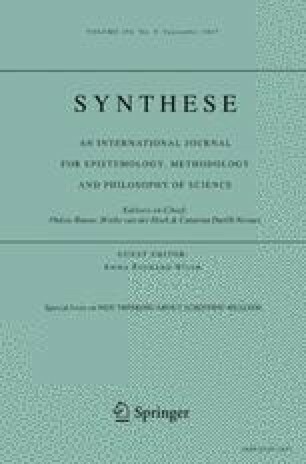 This paper also discusses Sprevak’s claim that the functionalist argument entails radical versions of extended mental states and shows that his argument is also vulnerable to the systems reply. Early versions of this paper were presented at The Tokyo Colloquium of Cognitive Philosophy (February 13, 2015, at University of Tokyo) and Korean Society for Analytic Philosophy 2015 Spring Meeting (May 23, 2015, at Hankuk University of Foreign Studies). I learned a lot from the comments by Woojin Han and Makoto Kureha. I thank two anonymous referees for insightful suggestions. I am a JSPS Research fellow, and this work is supported by JSPS KAKENHI (15J03906).